Bloomington-Normal is centrally located only two hours from Chicago and St. Louis, at the interchange of Interstates 55, 74, and 39. If you have people from all over Illinois attending your event, hold it in BN for maximum attendance. You have an excellent choice of meeting facilities and venues in BN, from vast auditoriums to small, intimate spaces. Choose from facilities as unique as the McLean County Museum of History’s elegant courtroom, or the state of the art halls of the Grossinger Motors Arena, perfect for trade shows, conventions and civic events. From 10 to 10,000 people, BN has a space for every event. The Bloomington-Normal Convention & Visitors Bureau helps event and meeting planners coordinate their events with a variety of complimentary services. If you would like help planning a meeting or an event in BN please contact our event team at 309-665-0033, email info@visitbn.org or complete our request for a meeting proposal form. Planning assistance. Let us be your one stop shop for organizing your next event. 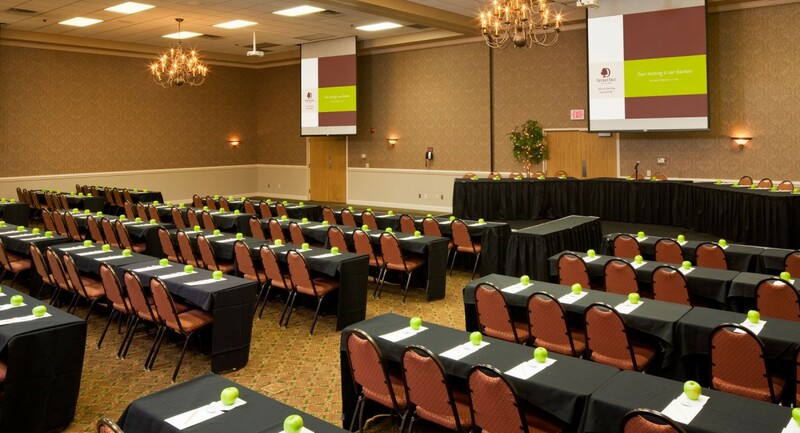 We can help you coordinate the details of your next meeting, from site selection to post-convention follow up. Venue selection. Our event team can research rates and availability of local meeting facilities and hotels for your event. We are happy to coordinate tours of any facility. News release to local media: We can develop and submit a news release to local media detailing your event. Literature & maps. Please let us know if you would like information on BN for your attendees. We can provide you with visitor guides, various brochures, tear-off maps or event calendars. We can even customize a local information sheet for your event. Activity and tour coordination. Let us know if we can help schedule activities for attendees, spouses and family members during your event. BN has a wealth of unique attractions. You can offer historical tours, cultural activities, arts and theater, educational experiences, golf, shopping and nightlife. Discount coupons. We can provide your group with coupons filled with savings from our area businesses. Welcome to BN! We can arrange for a Bureau Representative or local dignitary to welcome your attendees to our city. Registration assistance. For every 100 rooms per night you use in McLean County, we offer four free hours of on-site registration assistance. Actual volunteer availability may vary. Name badges: We can provide name badges/lanyards for your attendees at a cost. The name badge can hold up to three lines of text as well as your group’s logo. A complete list of names is required at least three weeks prior to your event. If you would like help planning a meeting or an event in BN please contact our event team at 309-665-0033, email info@visitbn.org or complete our request for a meeting proposal form.